Planning the first dance of your wedding will hopefully be the least stressful part of your wedding planning process. We’ll also make it fun for you. Here is some helpful information when planning the first dance for your big day. 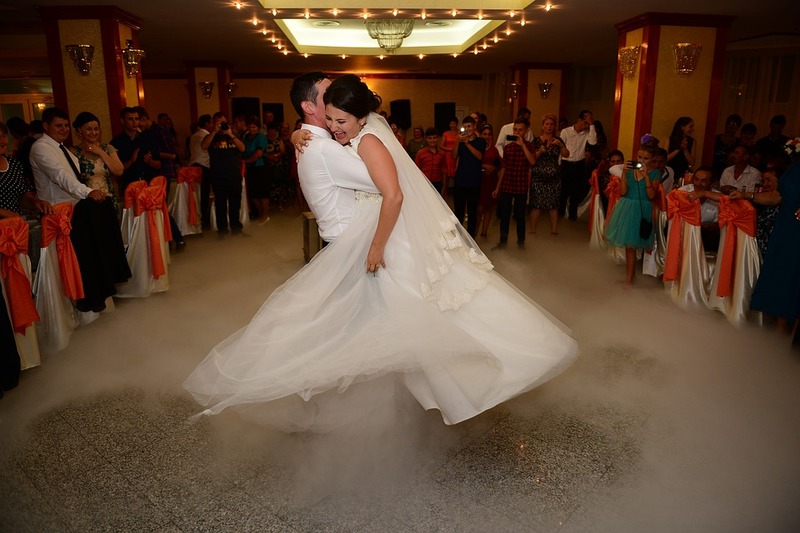 There are few final thoughts to keep in mind when planning your first dance.These will not only help you and your fiance but also save valuable time for your instructor. Do not wait until the last minute to schedule your lessons. Ideally, you would need 4-6 months before your wedding to properly prepare for your big day. Discuss with your instructor if you would like to incorporate any fancy or special moves into your routine such as dips, lift, walk-ons, walk-offs, and any other tricks. Be patient – Learning how to dance takes time. Have patience with your dance partner, instructor, and most importantly… be patient with yourself. At first, it will seem that you have two left feet. You will soon be able to do those fancy twists and turns without stepping on your partner’s toes. Always Practice – Don’t just dance during your scheduled lessons. You’ll never be ready in time for your wedding. Practice at home. You should even practice your portions of the dance routine by yourself. Wear similar shoes to your lessons that you would wear on your wedding day. Be Consistent with Your Dance Lessons – If you miss a dance lesson, try to reschedule the lesson as soon as possible. You want to keep the routine memorized without missing any steps. Most importantly…..Have Fun. Dance lessons can be a fun and stress relieving evening for you and your partner. Let Our Professional Dance Instructors Help You Plan Your Wedding Dance From Beginning to End. Call us at 919-872-0111 or Email Us Today.